Disgraced ex-President Viktor Yanukovych would be better off if he availed himself of his right to defend himself, came to Kyiv and argued his position in the court of appeals, Ukraine's Prosecutor General Yuriy Lutsenko has said. "He [Viktor Yanukovych], as well as every person, has the right to defend himself. It would be best if Yanukovych came back Kyiv, sat in a cell and prepared his defense for his appeal," Lutsenko said on Wednesday. Lutsenko this would be "fair, honest and courageous." As earlier reported, on January 24, 2019, Kyiv's Obolonsky District Court sentenced Yanukovych to 13 years in prison for treason and complicity in the conduct of an aggressive war against Ukraine on the part of the Russian Federation. "Viktor Yanukovych was found guilty of committing crimes under Articles 1, Article 111, Part 5 of Article 27, Part 2 of Article 437 of Ukraine's Criminal Code and sentenced under Part 1 of Article 110 (high treason) to 13 years of imprisonment, under Part 5 of Article 27 and Part 2 of Article 437 (aiding in the conduct of an aggressive war) to 12 years of imprisonment. And on the basis of Article 70 of Ukraine's Criminal Code on the aggregate of crimes to 13 years of imprisonment," presiding Judge Vladyslav Deviatko said. At the same time, the court found Viktor Yanukovych innocent on charges of complicity with the encroachment on the territorial integrity of Ukraine, which led to the death of people or other grave consequences. Criminal proceedings against Yanukovych were considered by a special procedure due to the fact that he is hiding in Russia. 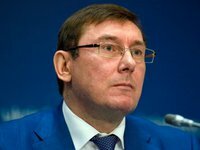 On February 1, Lutsenko said there would be no appeal against the verdict.